At Twins Chiropractic and Physical Medicine we combine the wisdom of Traditional Oriental Medicine with current integrative techniques. Your treatment is tailored to your unique needs and is focused on helping you regain wellness. As your health partner, we provide compassionate care that’s rooted in traditional values. 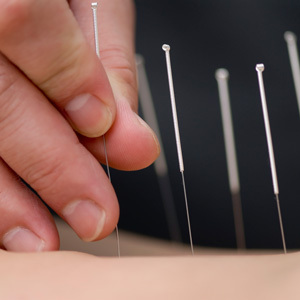 Your first acupuncture visit at Twins Chiropractic and Physical Medicine will be a 60-minute session. This session will help us understand your health concerns to customize a treatment plan to help you heal. Subsequent acupuncture visits will be 60 minutes. We are here to help you achieve optimum health and wellness. Get in touch with us to get started.